SAO PAULO (Reuters) - Brazilian and Australian sugar industry groups have joined forces and are working together with their respective governments to prepare a formal complaint to the World Trade Organization (WTO) over any possible sugar export subsidy by India, a top Brazilian sugar official told Reuters. Eduardo Leão, executive director at Brazil's cane industry group Unica, said in an interview that Brazil and Australia view any subsidy by India, set to take over as the world's largest sugar producer this year, as a grave threat to a recent price recovery. 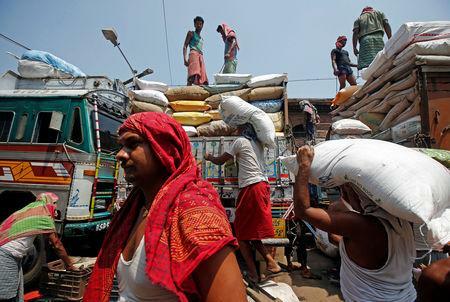 "We have heard comments that India could launch a export subsidy," Leão said. "It is not admissible, we would seek an action from the Brazilian government," he added. There was no immediate comment from the Indian trade ministry. Indian officials have earlier said the country's sugar exports do not violate WTO rules as New Delhi does not give any subsidy for overseas sales. India rather gives production subsidy to its cane growers. "We know the market fell due to a coincidence of large productions in Europe, Thailand and India, but things are improving now, production is falling so we don't see the need for a export subsidy from India," Leão said. Unica's director said Indian mills will eventually be able to sell in the export market as prices continue to recover. He said the Brazilian government is willing to back their plans. "They are sensitive to this due to the difficult financial situation of many mills".